Much like many other introduced animal species, feral donkeys were first brought to Australia to function as working animals – in this case, as pack and draught animals. Donkeys first arrived in 1866 and were utilised in parts of Western Australia right up until motor vehicles took over in the 1930s. Rather than finding an alternative use for the donkeys that were used as pack and draught animals, they were released into the wild. Over time, their populations grew and they became feral, their populations spreading across the state and working their way up to parts of the Northern Territory. The first known records of wild donkeys in the Kimberley were recorded in the 1930s; however, there is speculation that they arrived in the area much earlier. Now, they are most commonly found in pastoral areas of Western Australia, including Murchison, Pilbara and the Kimberley regions, as well as in particularly arid parts of Central Australia, and the Katherine region of the Northern Territory. Overall, it’s estimated that five million feral donkeys plague our shores. Although, it is worth noting that local eradication programs have been successful in some pastoral leases in the Kimberley. What do Feral Donkeys Need to Survive? Donkeys can survive in dry climates and their greatest concentrations can be found in flats of major river and creek systems, as well as on lower slopes and foothills along smaller creeks, granite hills and eucalypt sand plains, to name a few. They subsist on a wide variety of grasses, herbs and bushes, as they’re versatile foragers that can get a lot out of a seemingly sparse area. However, one of the main reasons donkeys can withstand particularly difficult and dry climates is their ability to go long periods without water. Donkeys can effectively reduce the amount of water they lose through their faeces, and unlike other species, can continue to eat even when they’re severely deprived of water. Despite their ability to withstand dehydration, they do prefer to drink daily and try to stay close to water sources, with their home ranges spanning from as little as 3km2 to 32km2. Since feral donkeys eat the same food as domestic stock, they can cause issues for farmers, especially when food is scarce. Overgrazing can also lead to a shift in the composition of desert vegetation, with their trails contributing to soil erosion. They can also foul watering holes, preventing other native species from drinking. The primary method of control for feral donkeys is aerial culling (shooting them from helicopters). This method can be particularly effective when stray donkeys are fitted with a radio transmitter collar that tracks their location as they meet up with other donkeys. 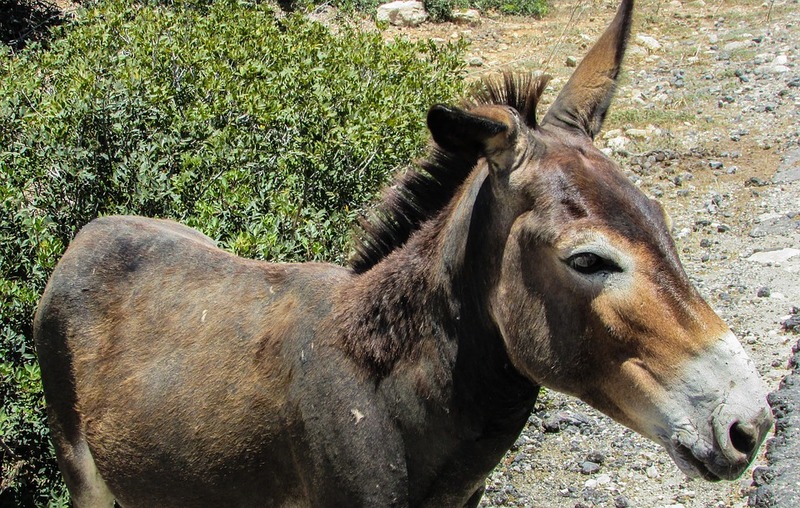 This means animal pest control specialists can eliminate each group of donkeys, leaving the one with the collar free to roam until it finds another herd to join. This makes aerial culling more targeted and effective on a larger-scale. To learn more about the impact of feral donkeys in Australia, and the control methods that are currently in place to reduce their impact, contact the team at Animal Pest Management Services today!